TEKSOFTPRINT ® is your one-stop shop for all your printing requirements. Whether you run a small home business or a large national company TEKSOFTPRINT ® understands what it takes to make the best impression. Our professional Perth Printing team can help you with all your printing, design and branding needs all at a price you can afford. 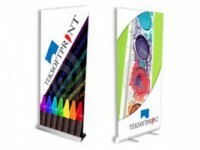 TEKSOFTPRINT ® is also your one stop shop for digital printing. We can help you make your presence known by designing and printing anything from leaflets, flyers or even large format posters to allow you to make your mark in the marketplace. 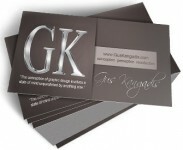 Print what you want when you want at competitive prices. We have compliment slips available to printed on 80 and 100 gsm stock. These lips can be used on both ink jet and laser printers to stream line your business invoices. 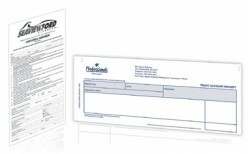 Envelopes printed by TEKSOFTPRINT, Western Australia are customised to meet the needs of customers. Our latest store in Midland also promises of delivering high quality envelopes to the residents based in the northern regions of Perth. We print posters in A2 and A1, A0 sizes. 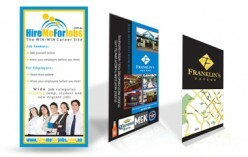 On 160 gsm Kodak Photo Paper with gloss finish to ensure the highest quality results. TEKSOFTPRINT, Western Australia designs and prints NCR books that typically includes numbering, perforation, writing flap and buff covering.